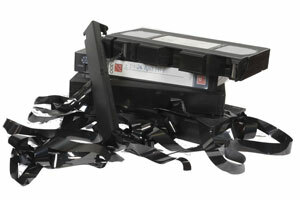 We transfer all digital camcorder formats to DVD including Hi8 Video Tapes. All of the Hi8 DVD transfer work is done onsite by trained technicians. This service is only available at our Kodak Express store in Camden, London - ensuring the quality of our Hi8 video to DVD transfer work and it also means that your precious Hi8 tapes cannot get lost. An excellent online/mail order service is available for Hi8 DVD work. We are part of the Kodak group of companies which is your assurance of excellent service, good quality work and peace of mind when ordering through the web. Although DVDs last a lifetime without deterioration in quality one scratch or scuff mark will render it unplayable. For this reason we strongly advise you to order an extra DVD back up copy of your Digital8 Video work - the cost is only £6 per tape, even less when having multiple tapes converted. By asking us to transfer your Hi8 video you are giving us an assurance that you are the copyright owner or that you have permission from the copyright owner to duplicate the work. We only accept Hi8 Video to DVD transfer work on this basis. 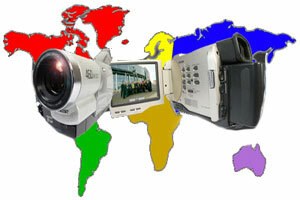 NTSC is a video format standard widely used in many other parts of the world such as USA. Japan and much of South America. So if your video tape was originally filmed in any of these countries it will need to be converted to PAL format to play on UK TV systems. The cost of NTSC Hi8 transfer to PAL and encoded to DVD is £40 per video tape. We cannot generally fix problems associated with bad recordings (too light or too dark), camera equipment malfunctions and sound problems. If you have accidentally erased the tape we cannot restore the footage.